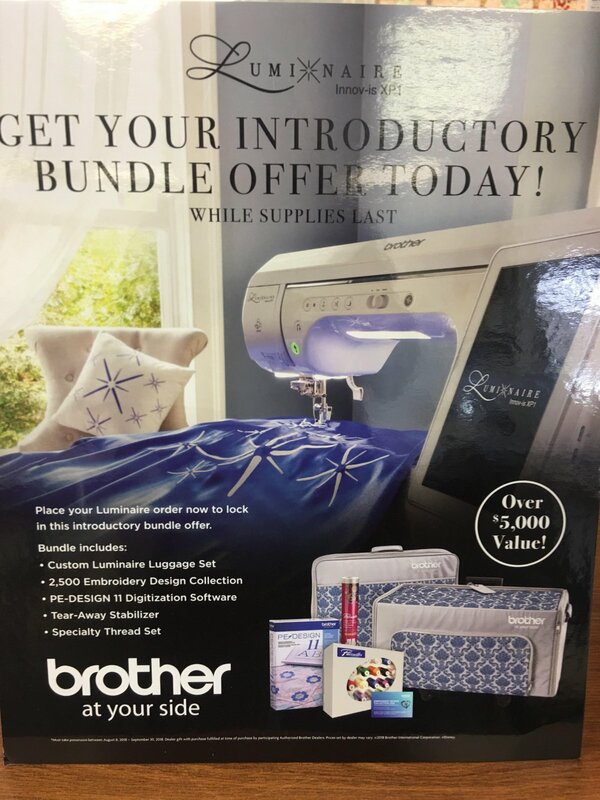 Windmill Sewing Center (BROTHER) is hosting a Luminaire XP1 Demo / Making Kimberbell Design project May 17 Friday from 1 to 5pm or May 18 Saturday from 11 to 3pm. Will be supplying four machines with 2 persons to a machine unless you would like to bring your own. (And maybe trade in for the new Luminaire XP1) You need to let me knpw up front if you bring your own in. We will also have snacks and water.